Big Brand Cosmetic and Food Companies value their product being produced in Western Countries like the USA, Canada, Australia, New Zealand, The UK, Germany and France. For example, a Salt Scrub that says produced in Canada carries a lot more appeal to clients and Brand owners alike than a product that says “Made in China”; Especially a product that you will Ingest or put into Direct Contact with your Body. The reasons are really quite obvious – it is common knowledge that in some parts of Asia where there is a huge ether of manufacturing, completely regulating all practices to be safe is a very difficult task. This leaves open an unacceptable risk for many consumers who will understand that “somewhere” in the chain of processes that go into the finished product something can more easily go wrong. It is not uncommon to source packaging from Asia and then produce the contents in a more controlled and higher profile country or location. If the brand (and clients) see value in knowing the contents are produced in a safe and controlled location then Induction Liners should NOT be considered as separate from the contents or as simply “inert” packaging. The sealing layer of an induction cap liner that comes into contact with the inside area of your packaging is a plastic polymer and or an adhesive. Often cap suppliers will provide this lining material without paperwork to identify and qualify the material fit/safe for purpose. For example the liner may only be suitable for industrial chemical contents. During the induction sealing process, the lining material is heated to a point where their sealing polymers and adhesive are in a liquid/molten state. This can OFTEN mean liners from unknown suppliers in China will have a polymer cocktail that can leach into your (your clients) product*. The process of induction sealing could therefore result in some nasty compounds becoming an extra unintended ingredient in the product. 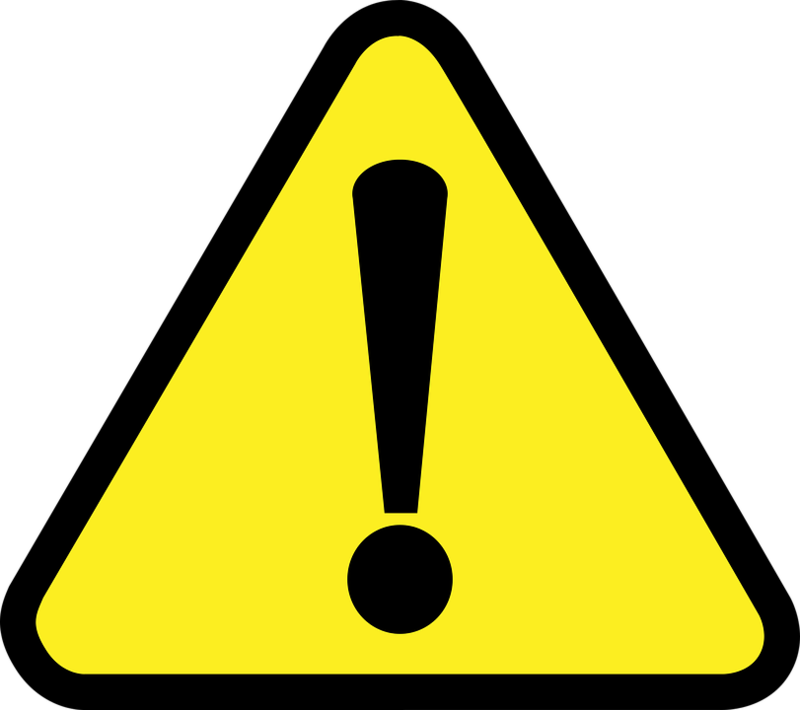 Please be assured that we are only raising this point to make sure you are aware of this possibility and to allow your client and you to complete a due diligence for the manufacturing of a product that will be in contact with people’s skin. From our experience, the least that can be expected from a supplier of caps with lining material is to be given a cap lining certificate of compliance with food and commodities; supplied, on the letter head of the manufacturer of the lining material. It is not sufficient to have such a document issued by the cap supplier or a lining material agent that simply puts their letter head at the top of a generic declaration. All our liners are manufactured using lining materials that have a cap lining certificate of compliance with food and commodities; supplied, on the letter head of the manufacturer of the lining material. *Even the Foam we supply for fitting behind induction liners is resistant to the heat process of the Induction Sealing and this foam comes with it’s own certificate of compliance with food and commodities. Often the first thing our clients realized with respect to how things can go wrong with Seals from Asia or India is inconsistency of sealing results. That problem , while a practical problem is a relatively minor problem. That is a relatively safe issue and it is well-known that this will often be due to variations from batch to batch of liners produced in these regions. The safest way to treat induction lining material (and source it) is as if it were the contents. As we deal with so many cap manufacturers we are able to source and supply you with the cap and cap lining material combination you are looking for without the need to separately supply you with cap lining material. The caps are supplied from cap manufacturers for whom we have an established trading relationship. 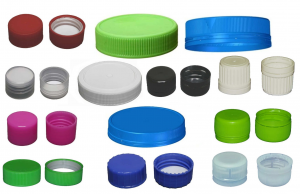 These cap manufacturers will almost always sell through third parties and we have qualified with many cap manufacturers to be that third party. We insure the pricing we supply is equal to or better than if you had gone to other third parties or EVEN the cap manufacturer themselves. Our knowledge and involvement in the supply of Cap Lining Material, Lining Inserting equipment for the cap manufacturers and induction sealing equipment for the end user means we can help source “get-it right first time” combinations of caps with cap lining material and supply at very competitive pricing. Material Liner is what we call that piece (or pieces) of what looks like paper inside product caps. It is also referred to as induction foil, induction sealing material, foil seals and induction seals among others. Many people are unaware of the purpose they serve to the product aside from being a protection seal or a tamper proof seal. Material liner within caps can be one piece or two pieces depending on the expected purpose of the lining material. 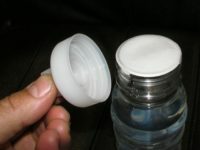 Single piece cap liners are often present in smaller sized containers in which the product is likely to be consumed after opening. 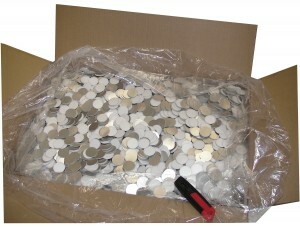 Its packaging is regarded as being one time use packaging. 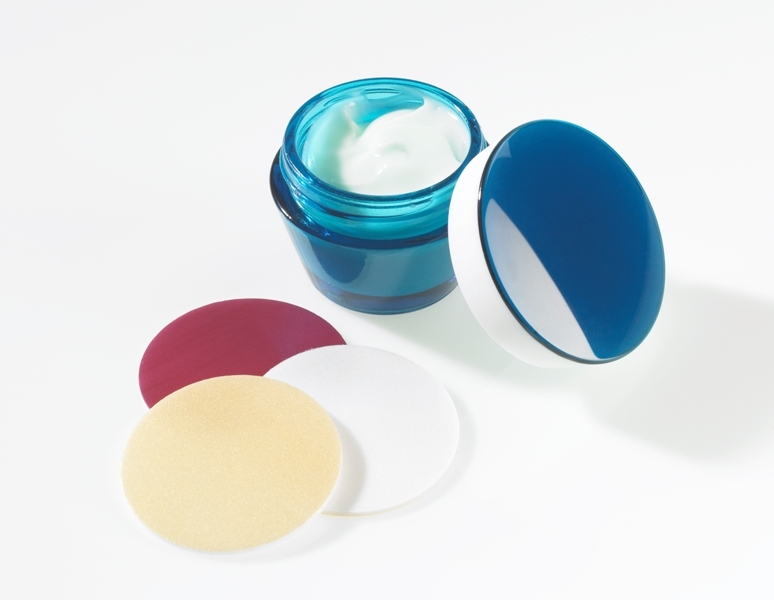 In this instance, the liner functions as protection until the product is opened. No other material is left inside the cap. Larger packs or bottled items are not likely to be completely consumed right after opening. The consumer is more anticipated to reclose the container and store the product. The caps used on these conditions have demands for caps that reseals effectively. 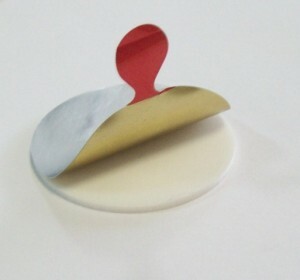 Upon close examination, the caps used on these kinds of merchandise have laminated foam within. 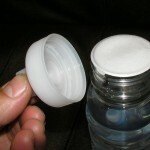 This lamination enables the cap to reseal the container upon closing to maintain product freshness. The laminations within the cap as well as the removed tamper evident seal on the product are referred to as two-piece cap liners. Deciding on the best components and structure of your foil seal is essential to guarantee the proper amount of protection for your merchandise. We can help you in selecting the type of material as well as the construction suitable to your application. 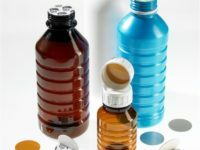 We have induction sealing materials available in many variants to fulfil almost any standard or individualized product packaging requirement which are safe and meet the strict specifications set by the Food and Drugs Authority. Induction foils are generally supplied to the closure manufacturers. 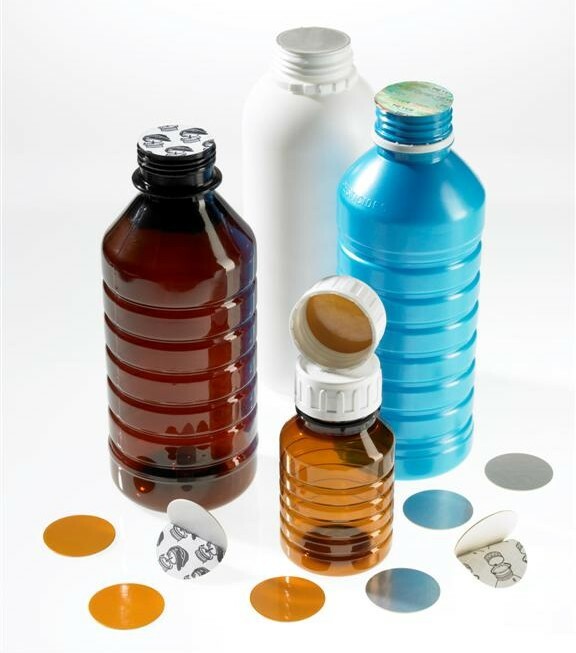 Developed over 35 years ago, induction sealing, in the beginning, was designed to eliminate leakage of chemicals from plastic bottle caps. At present, this method works extremely well with most style container and closure. The caps are supplied with an induction foil waiting to load into the capper. The container is then filled and capped, using the caps that are pre-lined with the induction foils. The capped container is then transported down the conveyor line and travels underneath the induction sealing head. The electromagnetic field generated by the sealing head penetrates the cap and the aluminum foil layer. When the field permeates the foil, it causes an electrical current which melts the liner’s sealing film. 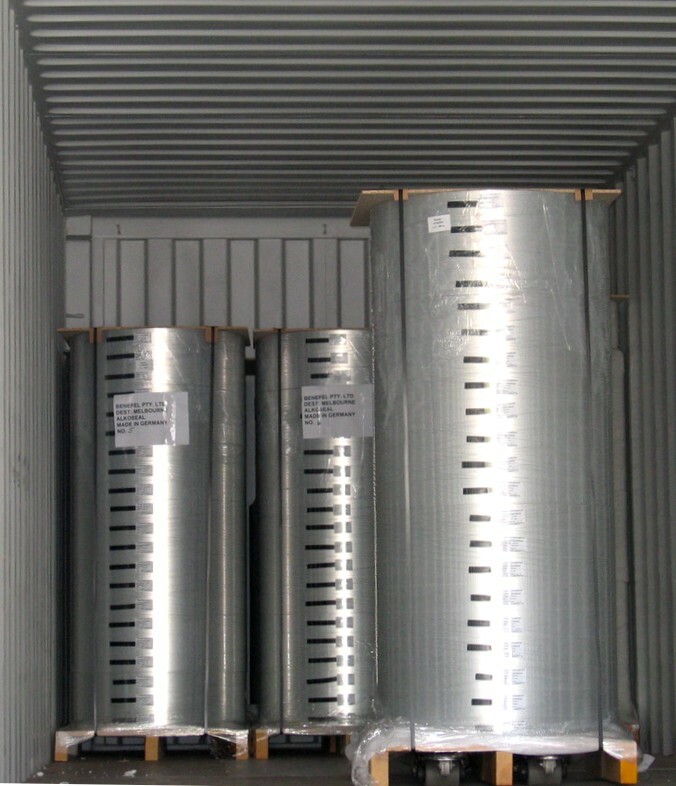 The foil cools down as it leaves the induction field causing the heat seal film bond to the container. Once the cap is removed, the aluminum foil remains bonded to the lip of the container. You can trust our team of experts to provide you the best solution to your application requirement. Contact us today! 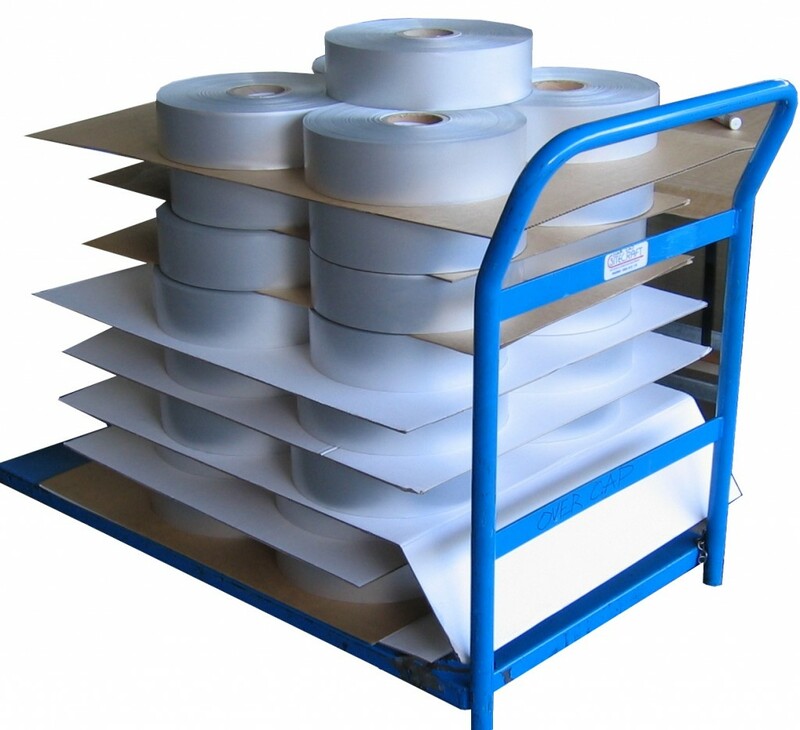 Because we supply the “big boys” with cap lining material we know our field and we utilize piggy-back productions and stock rolls to be able to service large and small clients alike. For the contract Manufacturer, Cosmetics Company, Boutique and Cottage Food Industries, Spices and Small Enterprises, the use of induction liners can give a big boost to their product image and integrity. 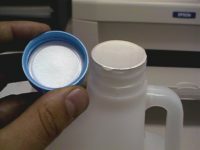 Finding caps with the liners you need can be difficult or not yet available in the smaller quantities you are dealing with. 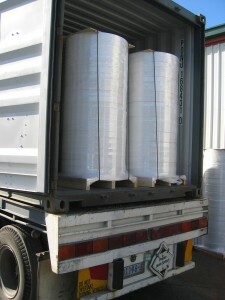 Loose packed pre-cut liners can be supplied with very short notice; within 2-3 weeks and sometimes much faster. We are at the concluding stages of developing IP that will see lead times fall to well within one week. We use methods that enable cutting tools to be produced for hundreds of dollars rather than thousands of dollars so if your size is unique do not worry. We are introducing tube packed pre-cut liners as an alternative to the more traditional roll form supply of cap lining material. Tube packed pre-cut liners are introduced for the small scale and pilot projects as it solves labor considerations and can be combined with cost effective budget liner-insertion-machines. 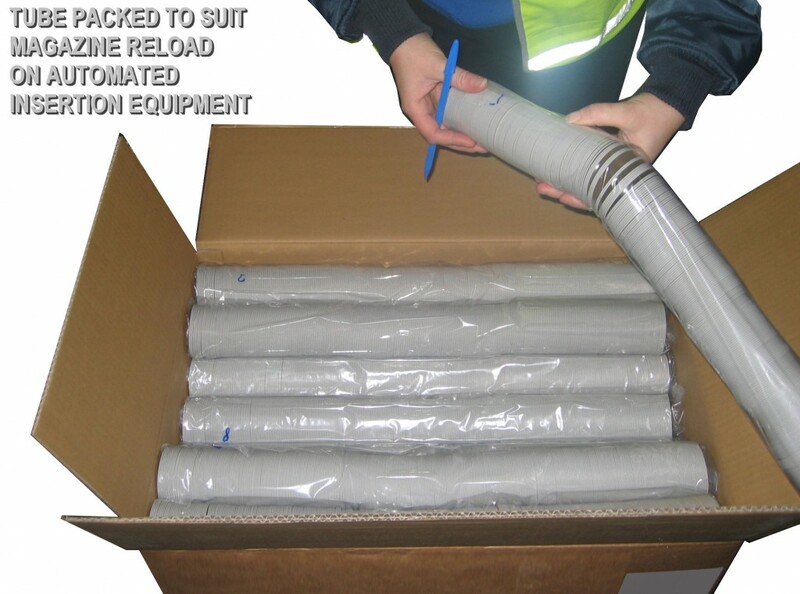 In a kind of paradox, the very large scale projects are often best served with pre-cut tube packed liners. The liner inserting equipment is of a much higher sophistication level but the pay-off comes in the better material yield, the elimination of maintaining knifes and dies, the elimination of dust and particle consideration, the more efficient shipping costs for the lining material and the elimination of disposal consideration for the waste generated from cutting from roll form stock. Behind the scene of pre-cut supply, the more savvy pre-cut liner manufacturers also have scavenging and recycling techniques in line with their pre-cut operations to make use of the offcuts generated and this results in a cleaner environmental footprint for this format of cap lining material. We also supply pre-cut liners with innovations that are quite unique and specific to the pre-cut format. Liners with backing having built in pull tabs often require a pre-cut format of cap lining material. Roll Form Cap Lining Material is supplied to our clients that use Liner Insertion Machines and it can also be supplied clients that are using Capless Induction Sealing Equipment that is roll fed. 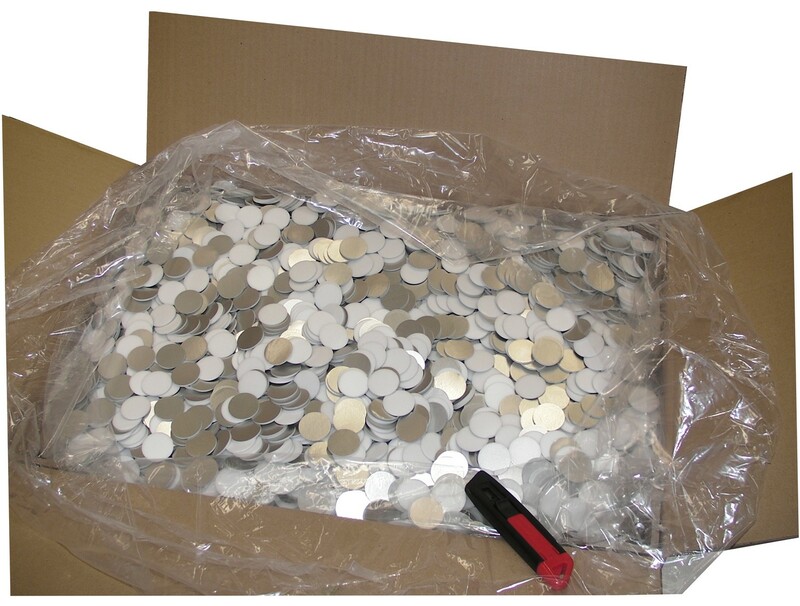 Usually our clients are dedicated caps and closures manufacturers or importers. There is a growing trend for some of the higher volume FMCG manufacturers to bring cap and bottle production in house and they are pleased o learn we are able to assist with Roll Form Cap Lining Material. We supply pre-cut cap lining material for clients who cannot find cap suppliers with the cap and cap lining combination they need.